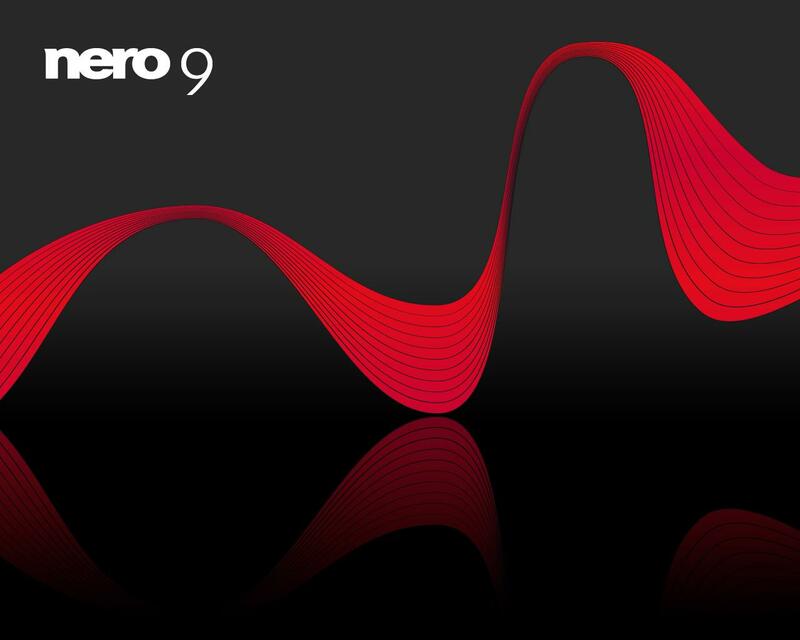 With Nero 9 Free you can write / copy data CDs and DVDs. Nero has become the most famous name in software for writing or copying the data on optical media: CDs and DVDs. I do not think exist any PC user in the world that do not used it at least once. The simplicity and high degree of intuitive, given the Nero 9 Free, specifically 9.4.12.3d version, the software keeps on users top choices in programs for burning CDs and DVDs countries, especially the process of copying information is summarized two steps: loading files and "burn" the disc. A newer version than Internet Explorer 6.0, 1 GHz Intel Pentium III or equivalent AMD processors for Windows XP, 2 GHz or equivalent AMD processors for Windows Vista; 256 MB RAM for Windows XP or 512 MB ​​RAM for Windows Vista; 270MB free HDD space for XP and 500 MB for Vista; optical drive for writing CDs or DVDs; at least DirectX 9; at least 32 MB graphics card and minimum resolution of 800 x 600. Projects "Continue MULTISESSION" are displayed at the correct size, also when using the option "Save Tracks" this time is the actual volume indicated. Beware of Nero 9 Free! During installation you will notice that Nero 9 Free tries to change the default web search engine, instead giving you an alternative installation of the ASK toolbar. This software is marked as freeware and is ad supported! 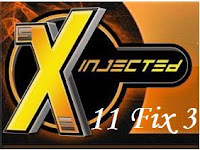 On July 27, 2011, sXe Injected 11.8 Fix 4 is available for download. For those who do not know, sXe Injected 11.8 Fix 4 is a software specially designed to ensure a high degree of transparency of the player online games, like Counter Strike, preventing access to the servers of coded players. 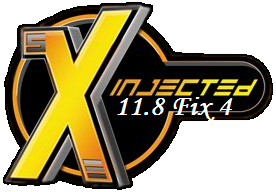 To benefit from the facilities offered by sXe Injected 11.8 Fix 4, you must first install it on your computer, turning it on and then to launch the game. What problems can meet the sXe Injected 11.8 Fix 4? If you play CS on a server then you will not have any problem, if however, you have problems with connection, and between PC and ISP you put a router then check if you've properly configured it, if translation is done by NAT process. If you still have problems, you may need (some servers require) a public IP, which is solved by purchasing an IP address from your ISP. Cost less, about 2-3 dollars. What's New in sXe Injected 11.8 Fix 4? Since the previous version, now was solved a minor problem for Steam's compatibility. Download it free here Download! Nokia PC Suite is designed to make communication between phone and PC, supports Windows 7 and solve some minor problems related to the connection. The latest version of Nokia PC Suite reached a new release. It is a software created to provide connectivity between PC and mobile phones, with many features that derive from the connection / PC communication - phone, such as backup files option to phone or / and synchronizing contacts. Typically the device is meant to deliver some new features to those people who obtained a Nokia telephone, which includes modifying, backing up and synchronizing the information. Nokia PC suite , is allowing for you to attach and synchronize most Nokia Telephones on your windows Personal computer. Connectivity is obtained possibly utilizing a USB cable or by wi-fi relationship (Bluetooth). This application suite lets deal with your cell phone, it have many softwares , getting each individual distinctive capabilities. Using Nokia PC Suite you'll be able to execute various operations. As an illustration, you'll be able to transfer shots or tunes from your mobile phone with the personal computer and vice versa, to create back ups of your knowledge of one's cell towards the Laptop, to control your new music, to deliver messages, to handle your contacts along with your pictures and a lot of other factors. What knows to do Nokia PC Suite? Directly from your PC you can edit contacts, pictures or other files on SD card or phone memory, you can install Java applications, convert the format ringtones, run multimedia, video and send messages directly from PC; you can use your own phone as a modem to connect to the Internet, to back up and restore your files to the phone to transfer music, pictures or other files between computer and phone or vice versa, and synchronize your phone calendar with PC. Nokia PC Suite, generally, rarely encounter errors, so the latest enhancements consist only support for Windows 7 and solving minor problems related to general connectivity between PC and phone. Compulsory (and logic), you need to connect your phone to PC via wired connection, USB cable, or wireless, that is infrared (IrDA) or Bluetooth. Then you need 300 MB hard drive space. That's all! Opera Mini has reached version 6, has undergone many changes and was eagerly awaited by many users of iPad, iPhone and iPod. 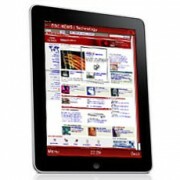 What's New in Opera Mini 6 for iPad, iPhone and iPod? Design has changed, now Opera Mini browser has a completely new look; have included some special effects in terms of zoom; it supports the retina display of iPhone 4, iPad and iPad 2, data traffic is 90% compressed for reasons of speed and cost; to the community was included the option for sharing Twtter, Facebook and My Opera; opening new pages can be done in the background; was improved support for Arabic, Chinese, Vietnamese and other non-Latin languages​​. Can be installed on iPhone, iPod touch, iPad, iPad 2 and must have at least IOS version 3.0 installed. Download Opera Mini 6.1 (. Jad) for unlocked iPhone 4 and iPad. 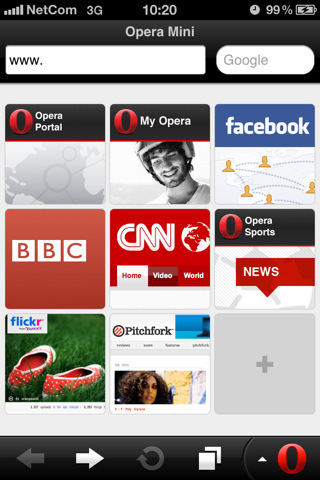 Opera Mini is a browser that offers the fastest and cheapest solution for web browsing, now reaching version 6.5. What knows to do Opera Mini 6.5? What's New in Opera Mini 6.5? The new version of the browser is very much oriented to the needs of users, keeping up with the latest trends on the web: socialization. Therefore a highly valued feature is offered by "share" button that allows you to share any type of content that you consider important for the community to which you belong. Another strong point of Opera Mini 6.5 features is the backup of the bookmarks or search engines used by the browser with Opera Link feature, which allows any phone synchronization. Also, options for management of download sites, history and ability to save Web pages to be accessible even without internet connection, or multitasking places tabs on top Opera Mini 6.5 web browser for mobile phones. Android - Opera Mini 6.5 download! Symbian - Opera Mini 6.1 download! BlackBerry - Opera Mini 6.1 download! There is available a new version: sXe Injected 11.8 Fix 3! sXe Injected is a software used to prevent many troubles for online games, like Counter Strike - remember classics codes that shoot through walls will shoot without even seeing them and many other tricks. How to use sXe Injected 11.8 Fix 3? Simple, after installation, you start it before the game, that's all! sXe Injected problems and errors! sXe Injected does not generate spam, lag, you do not need to setup your firewall or router (in case you have it). Basically, if your game works, then sXe Injected 11.8 Fix 3 will work without problems, otherwise, you need to reconfigure the router, you must setup port forwarding or NAT correctly. What's new on sXe Injected 11.8 Fix 3? Peak is that there are enough players , the desire to cheat on DarkOrbit, come fall in net trick. Currently I use a gingerbread Android. It is the latest version: 2.3.4 gingerbread. Is only 85.27 MB and it can be installed directly into the phone's internal memory (NAND installation). Look here how to do, especially for this version: V2.8, NexusHD2-Gingerbread-2.3.4-NAND-Android-update.zip. What's new at Nexus HD2 Gingerbread Android 2.3.4? Launched on June 28, 2011, this is a clean ROM, stable and fast, based on source code for Nexus One (AOSP gingerbread), which was subsequently optimized for HTC HD2 . GB234_call_delay_fix_update.zip, libaudio.so_with_Wonk_Fix_from_Gpc.zip (useless because all are problems in volume) was removed for MAGLDR libhtc_ril_wrapper.so and have made some updates: from old versions of Google Maps v5.6.0, Facebook v1.6.0, v2.0.3 Twitter, superuser v2.3.6.3, v2.3.2 binary su-EFGH. How much resorces is eating gingerbread HD2 Android 2.3.4 Nexus (NAND V2.8)? After installation you will see that you have around 200-230 MB free in the smartphone's internal memory and about 270-300 MB of RAM available. What problems occur after installing the HTC HD2? During the installation you need to have the battery charged at least 50%, although I recommend you have it full. Then, as you install more and more applications that need internet connection and will run in the background ... will have large and unpleasant surprise to see that the battery will take very little. So be careful how you set the phone and internet connection to allow applications in the background. How to install Android on HTC HD2? Very simple! Actually I just summarize all to only two NAND versions: by flashing and via the microSD card. NAND installation means you are going to install Android directly inside smartphone internal memory, not on microSD card. That will replace the current Windows Mobile 6.5 Professional with Android. Here's how to do it! 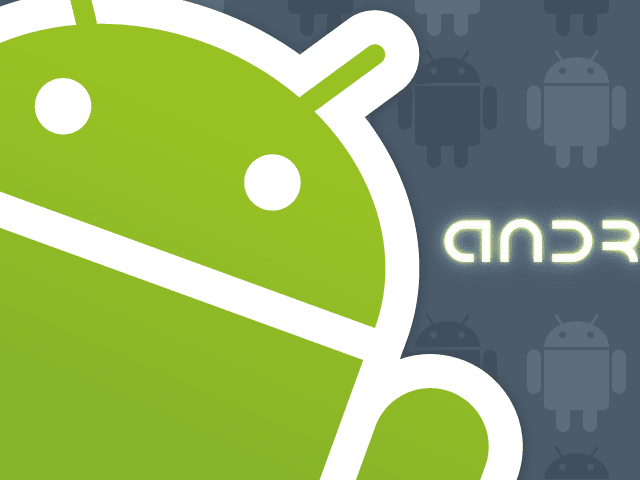 Mandatory requirements for installing Android for HTC HD2! You need to change the original OSPL / HSPL of smartphone to SPL 2.08.000 (with HSPL4) followed by installation of MAGLDR 1.13. I have put links in the previous sentence so get down to work (installation) if you do not know what it is. If the two steps are not resolved then you will not be able to install any version of Android on HTC HD2 (HTC LEO). It's easy! Just copy on the microSD card in smartphone that file: NexusHD2-Gingerbread-V2.8-NAND-Android-2.3.4-update.zip! Recommended is to have the card blank, freshly formatted (FAT32) and if it can be even 4GB. After you have copied it, you need to close the phone and (after) hold down the Power key continuously until you enter the menu MAGLDR 1.13. Then go to AD Recovery option, just wait, then choose install from sd card zip. How you choose OK or it's equivalent? By clicking (once) the key response to telephone calls. After making these steps you must choose the archive (.zip = NexusHD2-Gingerbread-V2.8-NAND-Android-2.3.4-update.zip) you have already made sure to copy on your smartphone. After that just wait and you see the message All done! (Or equivalent), that were extracted and copied files to the HTC HD2 memory, all that remains is to exit the menu (by pressing the Power - one at a time) from the main menu and select Power Down. 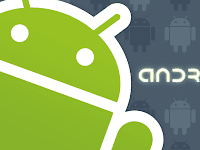 After that you have to start the phone by pressing the Power key briefly and let it install Android version 2.3.4. (5-20 minutes) That's all! However, this is the Android version that I have on my smartphone, after I tested (installed)... think about ... 7? 8? maybe 10? versions of Android. Attention to install Android on HTC LEO (HD2)! Make sure that the smartphone battery to be charged at least 50% before starting the installation procedure. Remember that you are subject to risks when you choose to put Android on HTC HD2, and they include at least the loss of warranty and / or risk damaging your phone. Think several times before installing Android on HTC HD2. MAGLDR is a boot loader that will help you load into Your smartphone, HTC HD2 (Leo HTC), the Android OS, even the your phone have installed Windows Mobile 6.5 or 7. MAGLDR 1.13 continue to install (separately) without affecting OSPL / HSPL of your smartphone just to not have problems installing or uninstalling MAGLDR's boot loader. What's new at MAGLDR 1.13? First, the new MAGLDR comes with support for both HTC HD2, ie Leo1024 and Leo512 and then it have solved a few known bugs in previous versions, for example to solve the power problem with "GO GO GO" from MAGLDR 1.11, WPH support was added along with the release of 1.12 version, and with MAGLDR 1.13 appeared AD Recovery option. In addition, such problems rarely seen in previous versions resolved USBMassStorage bug related to the transfer of large files, really ... I do not think because I attempt to transfer a file on the microSD card of about 250MB without success. Another bug I met at MAGLDR 1.13 is unsuccessful return to menus and another one is the phone Power button does not always resume the parent menu when you enter, let's say, in the boot menu. Finally, the more likely such problems will be solved in next versions. How do I install MAGLDR 1.13? Simple, as in HSPL4 (HardSPL4), all have to do is close the phone, then continuously and simultaneously press the key volume-down and power (Power) of the smartphone. Hold a few seconds until the screen appears with three colors, like red, green and blue. Then connect the USB cable from PC to phone and you will see that the white background of the message "Serial" changes to "USB." The second step consists of downloading the archive MAGLDR 1.13, and launch DAF.exe file. All you have to do is carefully follow the steps that will guide the program will start immediately. And ready, that's all! Next time you reboot the phone just keep continually press the Power (5-10 seconds) and will face traversing menus made of MAGLDR 1.13. Note that you must have HardSPL 2.08 installed. If you do not have or do not know, read this article. Pay attention that you need a ROM that supports 576 MB of RAM, so it does not hurt to make sure by following the program launched by ROMUpdateUtility.exe (you can find it in the archive MAGLDR 1.13). Update your phone is by bringing in the same condition as when installing MAGLDR 1.13 - see launch DAF.exe, you reminded? Installation of MAGLDR 1.13, as previous versions, did not entail any guarantee from the manufacturer or someone else. You do it with the risk of damaging your smartphone! Personally, although I installed several versions of MAGLDR, I never encountered any problems yet, but remember that there are risks. Think well! Since February 20, 2011 the team launched DarkForces HardSPL4, which supports all HTC HD2, smartphone known as the HTC Leo. To install the latest version of HSPL (now it is HardSPL4), all you have to do is close the HTC HD2, then hold the key to reduce volume (volume-down), and will press the power button continuously (key red / bottom right corner of the phone). Wait a few seconds (5 or 10), until You will see a screen with three colors and on white background is written: "Serial". Connect the USB cable from the phone to PC and you will see that on the white background will write "USB". The next step is to download and install it HSPL4 computer, to launch the executable HSPL4.exe and follow the suggested steps. That's all! To install any version of SPL 1.42.0000, SPL 1.62.0000, SPL 1.66.0000, SPL 2.07.0000, SPL 2.08.0000, SPL 2.10.0000 and SPL 3.03.0000, you must have at least version 1.42.0000 installed in phone. Similarly, it is possible to downgrade to any older SPL version. Other new features of HSPL4 is providing the possibility of flash any official ROM without using a Gold Card, all commands can be used for boot loader and it does not check NBH signatures, this meaning you can load any unofficial ROMs. First you must make sure your phone battery to be charged at least 50%, and the use HSPL4 (HardSPL4) will expose you to risks that software creators assume only to you, nobody else. I personally used this version of HSPL, but if I not encountered problems, that does not mean I did not run the risk of damaging my HTC HD2 (HTC Leo). Winamp 5.62 enjoys a long tradition in audio player s, since its inception managed to take a good part of all PC users. Once time has passed, and increased user demands, Winamp constantly kept pace with their needs and demands, so now we can not say that Winamp is just an audio palyer that has expanded so much functionality in the plan accessing multimedia content, today that the main advance of the player compared to other software in the industry, consists of services streamig - I think you are more than familiar features access to the main radio and TV stations worldwide. United States, but most people hope that soon will access hulu.com programs. Current playing song, video, radio / TV and photos; support for iPod, play and manage music on your device, online radio services AOL are based on the CBS radio station, with Winamp OrglerTM you can watch, introduce share-ui history of Winamp, you benefit from expanded video support for Flash, you can automatically update information about songs, improved playback of music on the Web and easy access media content from a distance (remote), and last but not least now you can take and view images on the album. What's New in Winamp 5.62? * The toolbar and its control and may be made directly from the browser. You can download it free here! New BS Player comes with several improvements from a new look and features designed to give you a new perception about the multimedia content accessible. BS Player 2.57 enjoys a wide popularity among PC users and an experience that led him to continually adapt technology requirements in the field, but also to keep up with rising demands of users. With BS.Player 2.57 anything goes! Here I refer to a variety of audio and video formats: divx, avi, mpeg 1, mpeg 2, xvid, 3ivx, OGM, Matroska, mkv, asf, wmv, DV, m1v, M2V, mov, mp4, MPV, QT, rm, SWF, wav, mpa, MP1, MP2, MP3, OGG, AAC, AC3, aif, ram, wma, pls, m3u, etc. And that's not everything that players have been integrated functions designed to meet the needs of Internet-related: access to multimedia content video / audio, radio and TV programs, teletext, podcasts / webcasts, and many other streaming applications. What's New in BS Player 2.57? The creators call it "smart look" of course it's a new aspect of the player, created the idea intuitivitatii just to give you a pleasant experience and dversificata regarding the use of software. Among the new features of BS Player 2.57 include: automatic subtitle search online media support for multimedia keyboards universal streamming save the video from YouTube directly to the HDD, and display images embedded in MP3 versions, and a few other details. SopCast 3.5.0 is a software designed for facilitating access for free radio and TV productions and distribution of audio and video on the Internet. With SopCast, you can build your own TV station on a PC with minimum resources to serve approximately 10,000 users online course if you have a generous internet connection. In addition SopCast is very easy to use, supports several formats like WMV, SPL, RM, RMVB and ASF and is compatible with all Microsoft OS's: Windows 98, 2000, Me, Windows XP, Windows Vista and Windows 7. What's new in SopCast 3.5.0? - was added Bulgarian language. This software is freeware and ad-supporded!